Mabat wet benches – quick overview about designs and manufactures a vast variety of Wet Benches ranging from manual to fully automated systems. Wet Benches are designed for etching and/or cleaning parts using various chemical solutions. The parts, usually placed in a dedicated cassette, are consecutively carried between different baths containing chemical solution or De-Ionized Water, according to a predetermined recipe. 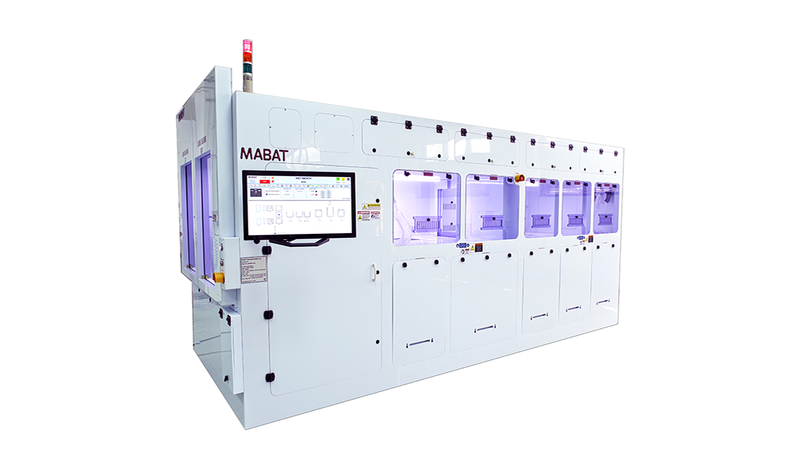 Mabat designs and manufactures a vast variety of Wet Benches ranging from manual to fully automated systems. On a Manual Wet Bench, the operator manually transfers the cassette between the various baths, monitors and controls the process. These types of Wet Benches are usually used on R&D labs. On a Semi-automatic Wet Bench, the operator places the cassette in the load/unload station, manually opens all bath lids and starts the process. Once the process is started, a robot transfers the cassette between the different chemical baths until the whole process is completed. The system software monitors and controls the process. When the process is completed, the robot transfers the cassette to the load/unload station where the operator can remove the cassette. These types of Wet Benches are usually used on R&D labs or low production facilities. On a Fully-automatic Wet Bench the operator’s intervention is reduced to a minimum. Once the cassette is placed in the load/unload and the process is started, a robot transfers the cassette between the different chemical baths until the whole process is completed. The system software monitors and controls the process. When the process is completed, the robot transfers the cassette to the load/unload station where the operator can remove the cassette. These types of Wet Benches are usually used on mass production facilities.